John Robert Weir, age 94 of Caledonia, passed away Saturday evening July 14th, 2018 at Maplecrest Assisted Living Center in Bucyrus. John was born Jan 29th, 1924 in Caledonia as the son of the late Milo Weir & Leatha Bratton - Weir - Lyon. John was a 1942 graduate of Whetstone High School and served an apprenticeship as a machinist at Case Western Reserve. Over the years John was employed at Perfection in Galion, Eaton Corporation in Marion and Ohio Crane in Bucyrus. John was also a farmer for many years while in Crawford County. In 1968 he married Florence Stockmaster. She preceded him in death in 2013. 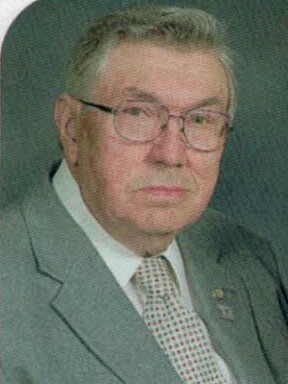 John was a faithful member of the Caledonia Memorial United Methodist Church where he served in various leadership positions as well as being a former Sunday School Teacher and a member of the Church Choir. John was a Past Master of Oliver Lodge No 447 F & AM where he also served as secretary for many faithful years. He had recently received his 70 year membership pin. He was a 32nd degree Scottish Rite Mason, Valley of Columbus, York Rite KYCH, Past Worthy Patron of Vera Chapter #64 Order of the Eastern Star, He was a sixty year member of Aladdin Temple Shrine. He was a member of Odd Fellows Lodge No. 299 in Caledonia and BPOE of Galion. John and Florence traveled extensively throughout the United States and Europe. Closer to home they belonged to the Channel Grove Cottage Association and the Good Samaritan Masonic RV Campers Association. John and Florence enjoyed square dancing and in his later years he enjoyed singing with the chorus at the Marion Senior Center. John will be remember fondly by his family: Robert & Karen Weir of Bucyrus, Gary & Stella Weir of Willard , Peggy & Ronny Shawber of Crestline. Thirteen Grandchildren, Twenty-one Great Grandchildren and Five Great Great Grandchildren. He will be fondly missed by his sister Jo Ann (Don) Sherer of Marion. John was preceded in death by his brother Wayne and sister Marilyn Human. Funeral Services will be held on Thursday July 19th, 2018 at 11:00 A.M. in the Caledonia Memorial United Methodist Church with Pastors Mike Corwin and Terry Burkhardt officiating. Interment will follow in Caledonia Cemetery. Friends may call at the Timson & Melroy Funeral Home in Caledonia on Wednesday from 5:00 until 8:00. Masonic services will be conducted at 8:00 immediately following Calling Hours. Memorial Contributions may be made to Shriners Hospitals in care of the funeral home.